Join Journey to a Million Group on LinkedIn! Rita is a true communicator! She has excellent oral, written and interpersonal skills that rank at the very top. Her work is done professionally, prompt and at a level I found outstanding! Rita is a true teacher. She has the ability to train and assist others in ways that work. She is equally gifted as an administrator; all she does is state-of-the-art. She exhibits the highest moral and ethical personality as I have had the pleasure to work with and know as a friend. Rita is dedicated to the degree of perfection. One does not have to be concerned as to whether her objective or goal will be accomplished. She is truly a people person. It always warmed my heart to know that her priorities were always set to help others reach a fuller level of commitment. ~Dr. Steven M. Fain, Leadership Professionals, Inc.
“Rita's presentations are characterized by in-depth research, common sense, and southern charm. I am proud to be her colleague in the speaking and training profession. Peter A. Land, MS, CSP, CMC, CPCM” May 12, 2009 Pete Land, President Peter A. Land Associates Inc.
Rita, Thank you very much for speaking on our “Behind the Scenes” program. Our potential viewing audience now consists of approximately 1.5 million people. It is because of people like you that we are able to inform and educate our viewers on issues and problems. Rita is a very positive and innovative person. She is forward thinking and has great marketing ideas that work. Rita is very focused and thinks outside the box. I've found her to be a very creative person and a pleasure to work with. I just wanted to take a minute to thank you for all that you have done for Galleria Woods and its residents. In a very short period of time you have made a huge impact on the marketing department and our residents. Your positive attitude, work ethic and caring spirit is an example to us all. Thank you for all you do. If there is anything I can do for you, please let me know. Your generous and loving sharing in our group has been thought provoking, inspiring and humbling. Thank you for being a part of my life and the ever so glorious future! 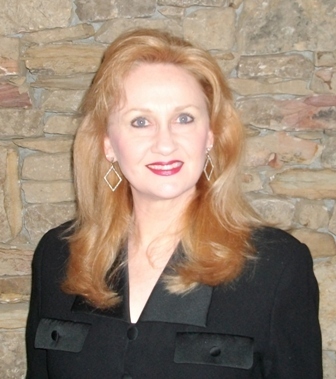 Darlene Real Higginbotham, Speaking Professional, Appearance Matters, Inc.